The casino is situated right on the beach, lined with nice cafes and restaurants where you can sit back and relax. 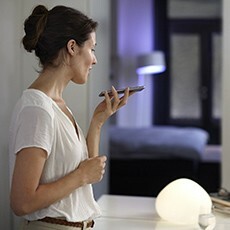 If you're a party owl, then you're in for a treat since the place also has some very interesting nightlife hangouts. If you're a culture and history nerd, then Barcelona is the perfect place to immerse yourself in art and architecture, like the La Sagrada Familia. That's just your side reward for joining in on 888poker LIVE's Barcelona stop! Now let's check out the series schedule. 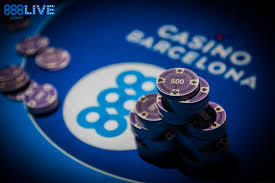 The 888poker LIVE Barcelona 2019 series just gets better through the years, and this time it's even bigger and better than the last one. The 2018 edition surpassed the 2017 numbers, raking in €709,000+ in the €500K GTD Main Event. 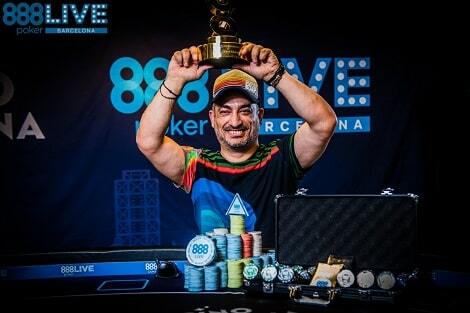 The top winner of 888poker LIVE Barcelona 2018 was Adrian Costin Constantin, who took home €114,025 after striking a deal at the final table. This 2019, 888poker is setting up €1,000,000 in overall guarantees plus a special World Series of Poker (WSOP) Main Event package to the ultimate winner. The 50th anniversary WSOP Main Event is scheduled in June, so this is the last chance that 888poker LIVE players have left if they wish to win a package to that prestigious event. 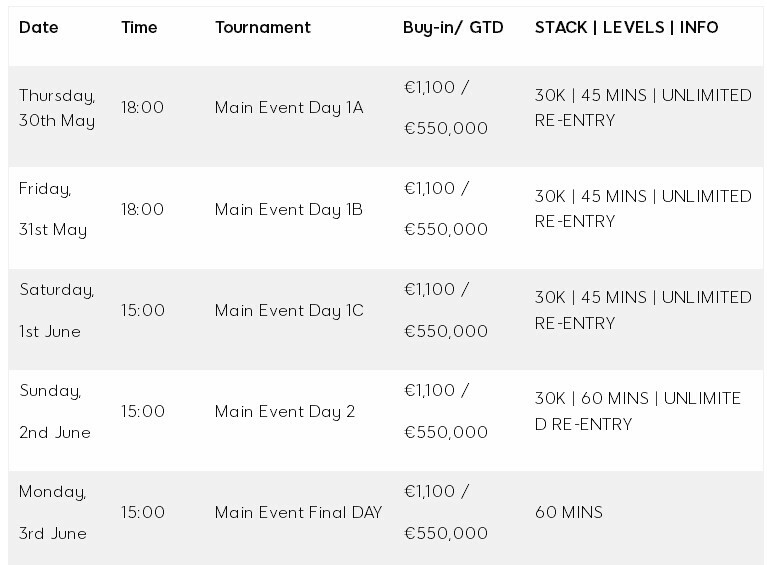 Below is the 888poker LIVE Barcelona €550,000 GTD Main Event schedule. Of course, there are many other events and live satellites you can join in aside from the Main Event, and these were created to have affordable buy-ins. One of the cherries on top of this series is the High Roller Event with a €2,200 buy-in, unlimited re-entry, 100K in starting chips and €150,000GTD. This event is definitely going to bring out the big names in the world of poker. In case the €1,100 is a tad high for your poker budget, 888poker's got your back! They have lots of satellites lying around that will allow players to start with only 1 cent; check out the Live Events tab in the 888poker client for more details. Aside from the step satellites, they're also offering packages to the Main Event, which players can qualify daily on the 888poker site. 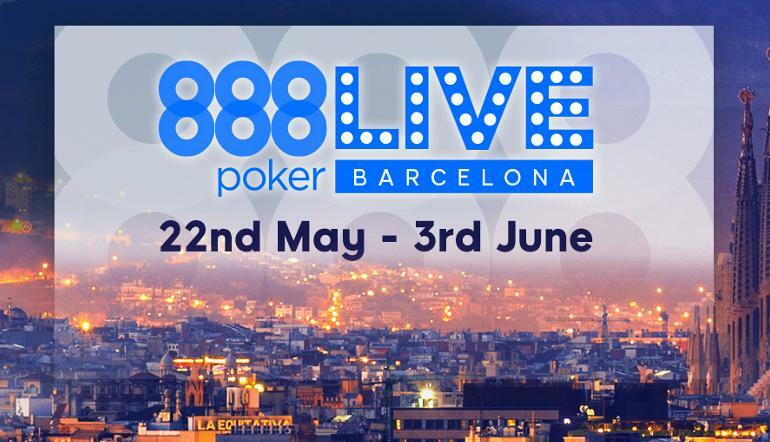 7 comments for "888poker LIVE goes to Barcelona on May 22 to June 3"
I've been to Barcelona a some years ago when I spent a couple weeks in Spain during high school. The last thing I would want to do in this city is sitting at a table for days and playing poker - there's just so much thing do/see here instead. The buy ins are high here, but there are also satellites for these tournaments. Barcelona Undoubtedly one of the most beautiful cities in the world, so visiting Barcelona in any case will give you great pleasure in being in this beautiful city. And if you still play your favorite game. It’s just a fairy tale. that is the beyond. Online poker players in Europe must try to get in Barcelona and to play in these tournaments because is a beautiful location and you have a lot to visit there. The one who won last year is is a Romanian citizen but another ethnicity. 114k is a beautiful amount and this year perhaps the gain will be higher. Altough the unlimited re-entry for four days straight will sure make some players headaches down the line I mean I hate it when an online tournament does this for hours, now imagine it live through multiple days. Neverending story. now I dont know,do other poker sites have also big live tournaments in barcelona or now only 888 poker have it? !I know that poker stars had this big tournaments and some other site if I remembers!poker sites fight for every town,to have this kind of tornament or to be sposnor! this probably will be big tournament,with lot of players and money on table!